Purchase Our Ten Round Pass! Use it any time! Hey South Jersey, Can a Bad Round of Golf Be Called Sub-par? When it comes to family entertainment, is there anything better than a rousing game of golf? At Heritage Links Golf Club, we don’t think so. 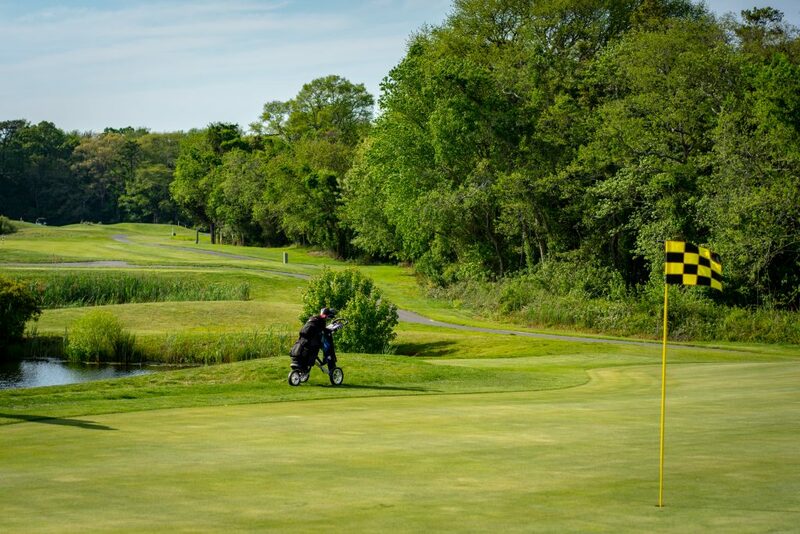 Practice your golf swing or challenge your family and friends to a fun and rewarding round of link style golf near the Jersey Shore. Since 2001, we’ve been helping Ocean View locals and vacationing golfers enjoy a relaxing game of golf on our nine hole course. Located minutes away from Ocean City, Sea Isle City and all Jersey Cape beaches. Our secluded setting and well-manicured golf course will provide a rewarding experience to golfers of all levels. Get your tee time before they’re gone! Instead of taking an entire day to play 18 holes of golf, why not play the nine holes at Heritage Links Golf Club and spend the rest of the day with your family? Whether you’re a seasoned pro or you just picked up a club yesterday, you’ll feel comfortable on our course. What was once an old family farm in Ocean View, NJ, was transformed 15 years ago into a beautiful course that’s perfect for both beginner golfers and experts. Bring your friends and family to a course that can be easily played regardless of your experience. At Heritage Links Golf Club, we pride ourselves on offering Ocean View residents a beautifully manicured course that allows you to play nine before beach time. In addition to the nine holes, we also have a chipping and putting green. Hone your short game and become a chipping and putting expert at Heritage Links Golf Club. Because we promote a beginner-friendly course that can also give any veteran golfer a challenge, we also offer golf lessons and clinics from a professional golfer. We feature league play and golf memberships. When you want to enjoy a relaxing and friendly game, come to our family-friendly course near the Jersey Shore. Call Heritage Links Golf Club at 609-390-4500 to see why Ocean View, NJ, residents and vacationers keep coming back! Simply the best. Just a great 9 holes that are challenging, fun and well kept with a friendly staff that wants you to enjoy the game of golf and the shore!! !